I’m from Iceberg Alley! 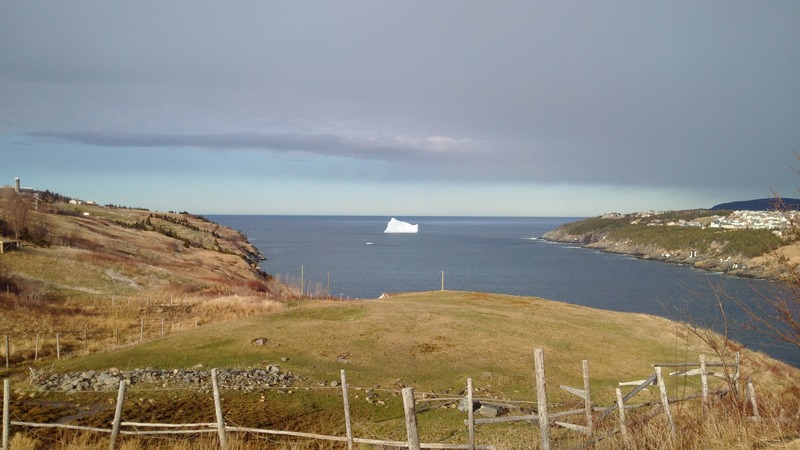 There is no better place to see icebergs than on the tip of the Great Northern Peninsula – L’Anse aux Meadows, St. Anthony, St. Carol’s, Goose Cove, Conche, Englee and many neighboring harbours are hugged by the 10,000 year old glacier ice. In just a few weeks, the official Iceberg Festival will begin on June 5th, 2015 – check out the fantastic schedule at www.theicebergfestival.ca. It was a real treat to be on the East Coast a week ago in the beautiful Town of Torbay to capture a few views of the massive iceberg that is watching over Tapper’s Cove. Torbay is just a few minutes from the capital city and has experienced rapid population growth. I think some of it has to do with these incredible views and the feel of rural living. There is an expanse of natural trails, farming activity and water surrounding the community. I took one of the trails and to my surprise, I would meet my former Finance Professor from Memorial University. It was nice to re-connect, talking about photography, music, international politics and the natural beauty of the area. 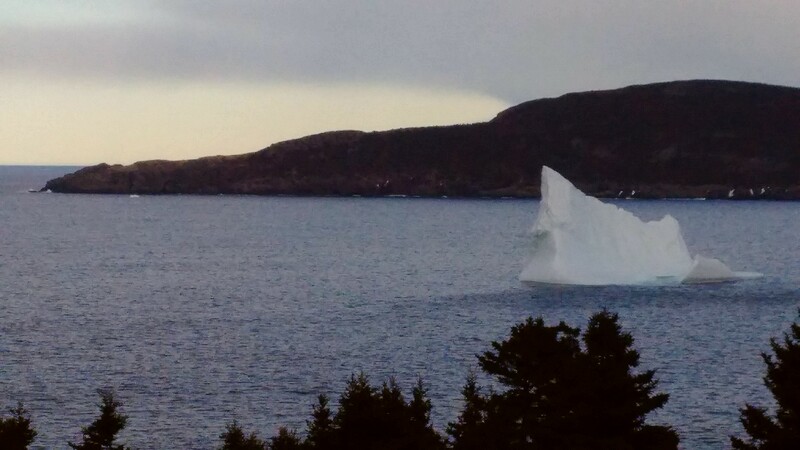 The iceberg in Torbay is a nice preview for what is to come on the tip of Great Northern Peninsula. So plan your perfect get-a-way for ten days of iceberg fun and excitement! Posted on May 18, 2015, in Landscapes/Geography and tagged Iceberg, iceberg festival, Newfoundland, Rural, tapper's cove, torbay, trail. Bookmark the permalink. 2 Comments. Actually, it should be http://www.theicebergfestival.ca, I will make the correction. Thank you.